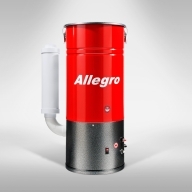 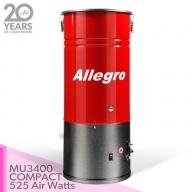 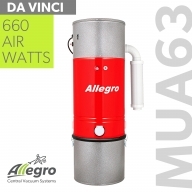 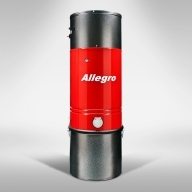 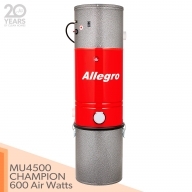 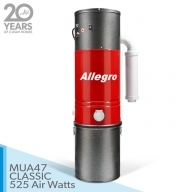 Allegro's high-quality Power Unit is made of heavy gauge steel with a superior powder coat finish that is guaranteed for life against corrosion perforation. 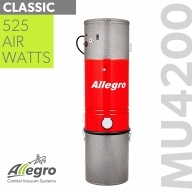 Now, from Allegro comes a whole new generation of power units and accessories built for the millennium ... with cleaning ease and power that makes old-fashioned, lug-around vacuums obsolete! 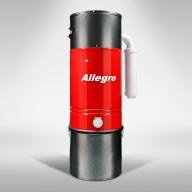 Invest with total confidence in a healthy home with Allegro.